Sausset-Les-Pins is a delightful seaside town in the southern French region of Provence, just under 40kms from Marseille. This beautiful stretch of coastline to the west of Marseille is known as La Côte Bleue and is less frequented by international tourists than it's more well known counterpart, Côte d'Azur. The town itself has a small harbour and stretch of stunning beaches with lots to see. As well as a selection of restaurants and cafés along the seafront, there's a little tapas bar, both quirky and unpretentious, tucked into a side street. 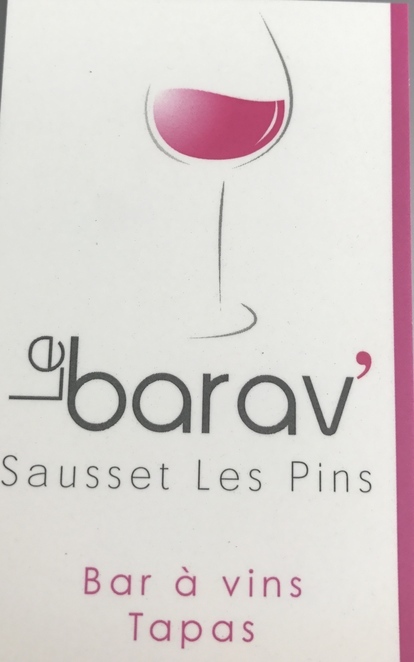 It's called Le Barav and it's run by an unpretentious local called Christophe. You could easily miss Le Barav if you passed by during the day when nothing much is happening there. That's because everyone in the south of France is at the beach during the day. From around 6pm from Tuesday to Sunday, however, Le Barav shimmies into its evening persona and it's not all about the beach anymore. Evenings in Provence are all about a refreshing Pastis, the anise-flavoured local spirit, or glass of rosé. Provence is considered the best wine producing region for rosé with the best examples showing just the right amount of acidity, a generous bouquet of red berries and a light, but not absent, body. Not to mention a gorgeous pink hue enjoyed best with the sun in the background. 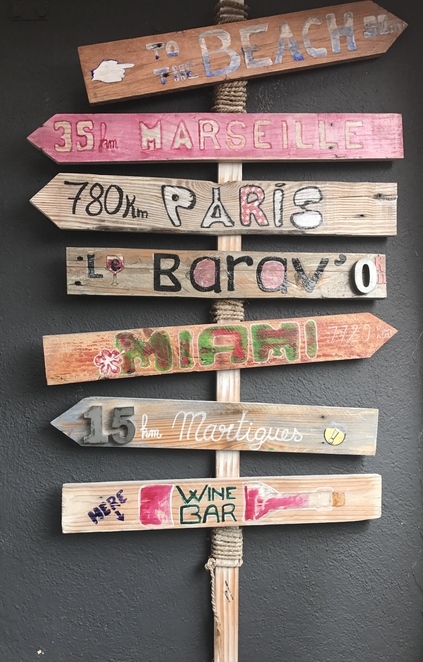 Le Barav offers a comprehensive drinks menu which includes a selection of Provençal rosé wines as well as other options to accompany some tasty tapas snacks. 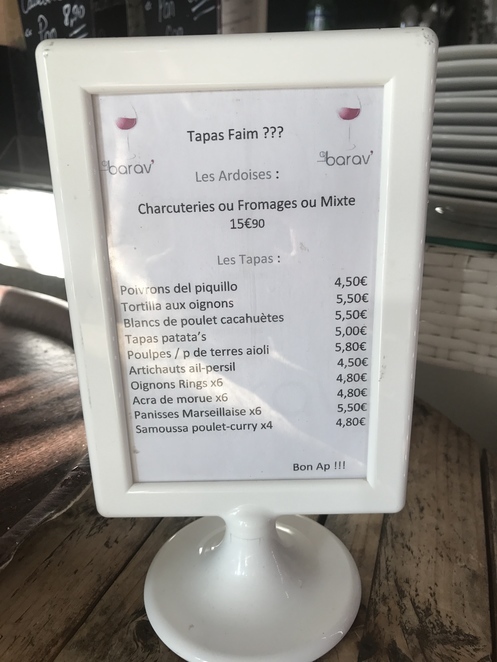 The tapas menu offers small chicken or fish bites, octopus, onion rings and samosas to choose from, as well as the regional treat known as Panisse, a type of fritter made from chick pea flour. Each tapas dish is priced around €5. Alternatively, a selection of sublime French cheeses and sliced meat can be enjoyed with the ubiquitous baguette for €15.90. In keeping with wine-bar decor, the tables are barrels with tall stools for those who don't wish to stand. The barrels and stools appear to multiply after dark and migrate out onto the street. 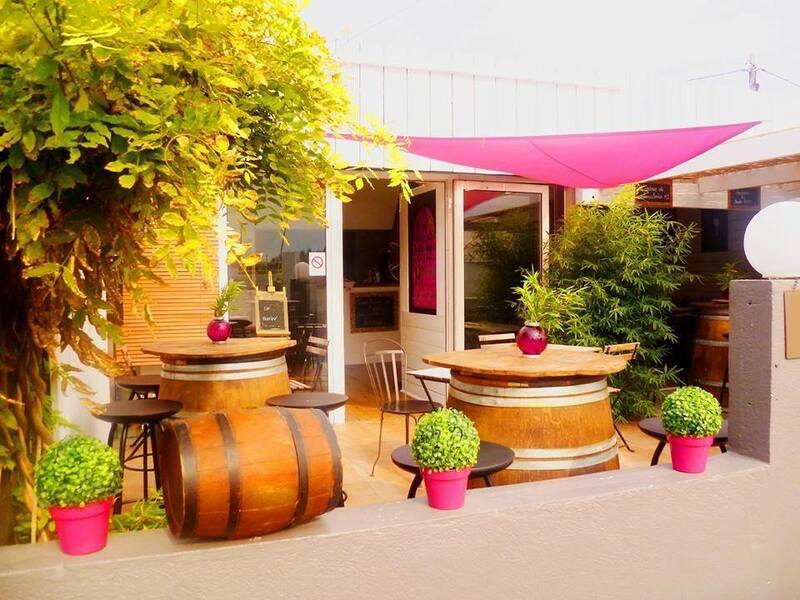 And Le Barav is very popular so it's best to book your barrel. Le Barav Tapas Bar. Sausset-Les-Pins. Why? A glass of wine and a tapas snack. Why not?